Posted on February 7, 2014	by Katy K.
I’m realizing that the Cybils awards will be announced next week already, and I’d better try to catch up with my reviewing before then. Here’s one Easy Reader and three Picture Book finalists. I’ve not really been making an effort with the easy readers. I have one more picture book at home that I haven’t convinced my daughter to let me read her yet, one that I put in a purchase request for, and two that I’m just waiting to be returned. I think the kids who have them right now must love them so much the parents are willing to pay the fines, as both Sophie’s Squash and Open This Little Book are long overdue at this point. 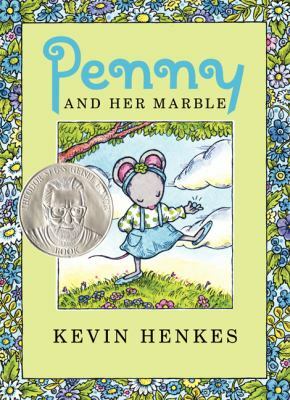 Penny and Her Marble by Kevin Henkes. Harper Collins Childrens, 2013. My daughter has loved both of the other Penny books – Penny and Her Song and Penny and Her Doll. Naturally, I checked them out. Penny is a sweet little mouse whose dilemmas are resolved in a few short chapters. The length is such that my daughter was able to listen through them even at three, perfect for bridging between very easy readers and early chapter books. In this book, Penny is taking her doll for a short walk when she spots a beautiful blue marble in the neighbor’s grass. She takes it initially, but then feels intensely guilty. She spends all the next day and night torn between her desire to keep it and her desire to make things right again. It’s a problem that any child will understand, told perfectly sympathetically and with a happy ending. 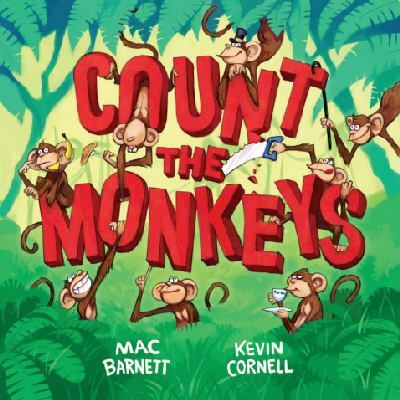 Count the Monkeys by Mac Barnett. Illustrated by Kevin Cornell. Disney-Hyperion Books, 2013. My daughter was thrilled when I brought this home for her – she’d seen it at school and fallen in love with it. This really is a counting book, but the monkeys are only on the cover and the final endpaper. First they’ve been scared away by a cobra, then mongooses frighten away the cobra, followed by mongooses, crocodiles, grizzly bears, bees, beekeepers, wolves, lumber jacks and more lumber jacks, and rhinoceroses with bagpipes. The brightly colored, cartoony illustrations add to the appeal of this very silly book. Honestly, I wasn’t sure that I found it so extraordinary personally, but the number of times I found the girl reading it to herself speaks highly in its favor. 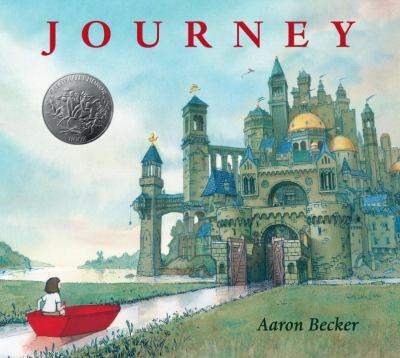 Journey by Aaron Becker. Candlewick Press, 2013. This is a wordless picture book. In general, I’d say that wordless picture books are challenging for adults to read aloud, but great for sparking conversations over the book and for encouraging narrative skills in children, the important ability to tell a story in the kid’s own words. This is possibly the most beautiful I’ve ever seen, a fantastical homage to Harold and the Purple Crayon. In the beginning, a girl in a beige world goes to each of her family members in turn, all absorbed in their own pursuits. Bored, she goes to her room and draws a door with her red crayon. It takes her to another, full-color world, through which she journeys by drawing things for herself with the red crayon – a boat to go down the river from the forest to the (steampunky) city, a balloon to carry her through the sky. She rescues a bird with long purple plumage, and eventually comes out a purple door, back to her own world where she meets a boy with a purple crayon. There are so many details that this is a book worth visiting over and over again, and one I’d love to own. No wonder it got a Caldecott Honor as well as being a Cybils finalist! Honestly, this was one, like How to that I thought would be too quiet for children to really enjoy. It is a quiet, personal kind of book, starting with its smaller than average size. 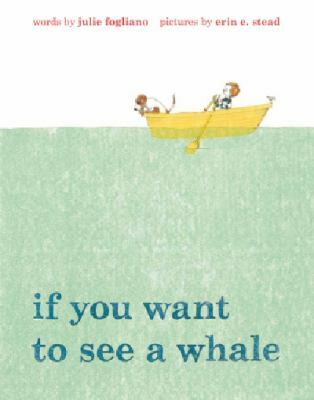 A boy and a small bird start on a blank page, and the world around them gradually fills in as it talks about all the interesting things you will have to ignore if you want to notice a whale. The soft colors and gentle, poetic phrases celebrate the importance of stillness and taking time to notice things. Again, I was wrong – maybe I needed reminding that children need this, too. My daughter and I both loved it. This entry was posted in Books and tagged Armchair Cybils, Caldecott, easy readers, picture books, steampunk. Bookmark the permalink.